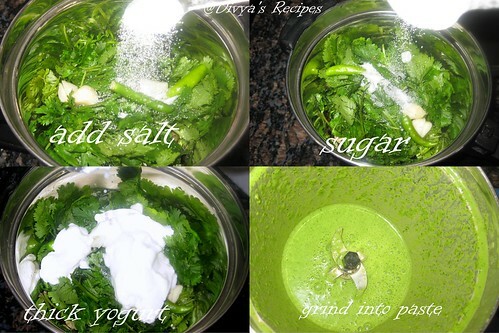 Mix and Blend all the ingredients thoroughly in a blender to make a smooth paste. 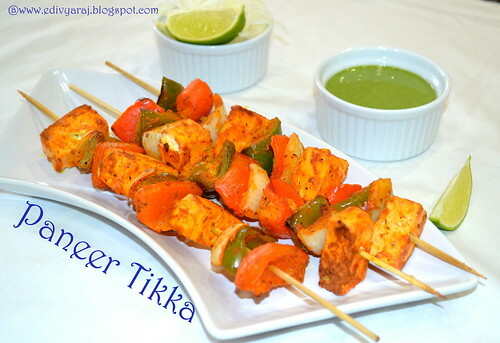 Goes well with chicken Tikka,Tandoori Chicken or Paneer Tikka and other any fired items. I too love chutney with tikka!! love your version!! 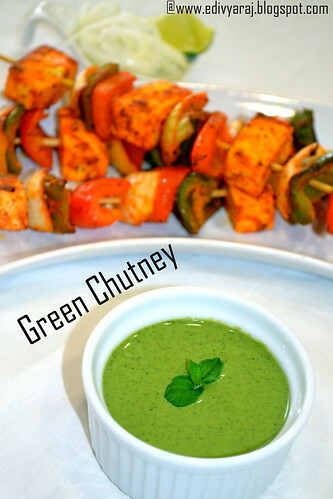 tempting greeny dip, love it!!! 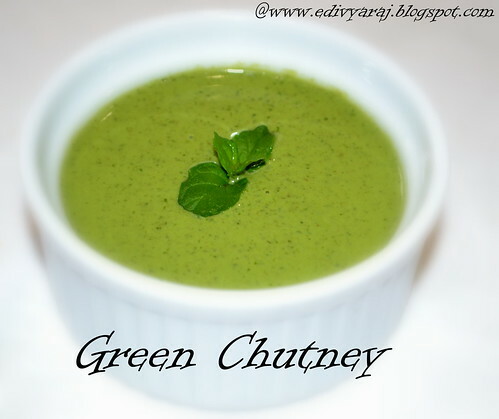 Superb looking green chutney. Love this very much.